BUTUAN CITY, Oct. 1 (PIA) – The Philippine Rice Research Institute (PhilRice), Agusan Experiment Station is set to hold an Annual Farmer’s Field Day and Forum on October 16, 2014 at the station in Basilisa, R. T. Romualdez, Agusan del Norte. According to PhilRice Agusan branch manager Abner Montecalvo, the event is chiefly focused on the promotion of profitable and market-driven enterprises in the rice environment. “We have field set-ups that that feature location-specific technologies and multi-media presentations that will surely enrich and delight our participants. We have invited 1,000 stakeholders composed of students, farmers, project implementers, and policy-makers from the three regions under our area of coverage,” bared Montecalvo. A press conference will be held at 8:00 to 9:00 a.m. and national and regional officials from the Department of Agriculture (DA) and its line agencies will share their initiatives. DA Asec. Edilberto De Luna, national coordinator for rice and corn program will also grace the event. Included also during the event is an information clinic on new technologies released by PhilRice Agusan followed by an open forum. “This year’s affair is anchored on the theme, ‘Sa Integrated Rice-Based Agri-Biosystem (IRBAS) Milyonaryo Ka, Sakay Na!’ Agriculture and fisheries specialist Wilfredo Santander of DA will give his keynote address,” said Montecalvo. The IRBAS program being carried out by PhilRice will create farm employment in rice areas aside from increasing the income of rice farmers. BUTUAN CITY, Oct. 1 (PIA) - In time with the 114th celebration of the Philippine Civil Service, personnel of the Technical Education and Skills Development Authority (TESDA)-Caraga Region and the provincial office of Agusan del Norte recently renewed pledge of commitment to serve public. This, after the regional office of the Civil Service Commission (CSC) in Caraga sponsored the Renewal of Pledge (Panunumpa ng Lingkod Bayani) of all government workers held recently at Guingona Park, this city. In his speech, CSC-Agusan del Norte Provincial Director Christopher Mabale emphasized that all state workers must at all times committed and dedicated to their work in the service of the general public. Prior to the pledge of commitment and dedication, a mass was held at the Saint Joseph Cathedral attended by state workers coming from the different agencies. Meanwhile, TESDA-Caraga personnel visited Por Kristo Foundation, a home for the abandoned elderlies; and the Gesu Eucaristiko Children's Foundation, a non-government organization that is catering children subject to violence. The personnel headed by Regional Director Dr. Florencio F. Sunico, Jr. donated goodies such as foods, 2 sacks of rice, canned powdered milks, diapers, and disinfectants to the management of Por Kristo Foundation. Also, the regional office handed-in a cheque worth P10,000 to Gesu Eucaristiko Children's Foundation Home Director Sister Marilou Besere. 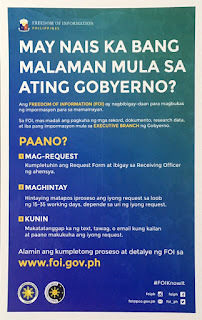 The 114th Philippine Civil Service Month is anchored on the theme: “Tapat na Serbisyo Alay Ko, Dahil Lingkod Bayani Ako” (I offered honest service because I am a Public Servant). TANDAG CITY, Oct. 01 (PIA) – A joint motorcade spearheaded by three government agencies mark the opening day of the month of October in Surigao del Sur for the triple celebration of the month-long activity for Consumer Welfare, Cooperative, and National Statistics month. The Department of Trade and Industry (DTI), the Cooperative Development Authority (CDA), and the National Statistics Office (NSO), now known as Philippine Statistics Authority (PSA), have two things in common—a celebration that falls on the same month and the same opening salvo—but with separate and different activities to pursue ahead. Likewise, each agency has different themes governing their occasion: “Sapat na Impormasyon: Susi sa Wastong Paggamit ng Enerhiya,” “Kooperatiba: Maaasahan sa Pagsulong ng Kabuhayan at Kapayapaan ng Bayan,” and “Ang NSM sa Ika-25 Taon at Higit: Matatag at Nakatutugong Sistemang Pang-estadistika ng Pilipinas bilang Pagtaguyod sa Globalisasyon at Integrasyong Pang-ekonomiya ng Rehiyon”—for the DTI, CDA, and PSA-NSO, respectively. This is the marching order of Department of Public Works and Highways (DPWH) Caraga Regional Director Danilo E. Versola to the Construction Chief after observing the alarming negative slippages incurred in project implementation. Versola said that it is not enough to accept their words of reason but that they should have a workable catch-up plan to augment their negative slippages. “I have observed that they are not working during holidays, Saturdays and Sundays. Remember that our contract states calendar days and not working days,” stressed Versola. Monitoring report also revealed that certain contractors have incurred big negative slippages that pull down accomplishments and might affect target completion dates. Relatively, RD Versola has created a committee that will serve as Task Force for Time Suspension and Extension headed by Assistant Regional Director Wenceslao M. Leaño, Jr. which is tasked to verify in the field whether requests for Time Suspension and Extension should be granted. RD Versola and ARD Leaño, agreed to strict the granting of time suspension/extension as this has been gravely abused by contractors to escape penalty. TANDAG CITY, Oct. 01 (PIA) – Both the Armed Forces of the Philippines (AFP) and the Philippine National Police (PNP) have highly regarded the successful conduct of the Peace Summit in Surigao del Sur to have lasting effect. Spearheaded by the province of Surigao del Sur through Governor Johnny Pimentel in coordination with the Office of the Presidential Adviser on the Peace Process (OPAPP) represented by Assistant Secretary Jennifer Oreta, the well-attended event, even by regional directors of line agencies of government, caught the attention of not only the AFP and the PNP but of the cross-section of society here as well. Army 401st Infantry Brigade Commander Col. Gregory Cayetano described the affair as good venue for threshing out problems in the locality instead of using arms. But while, on the one hand, Cayetano acknowledged that attendees came generally from government sector, on the other hand, he stressed that there were also others who are neutral or sympathizers with the “left,” implying about their Communist Party of the Philippines-New People’s Army-National Democratic Front (CNN) inclination during their participation. During the summit, Col. Cayetano was tasked to discuss the topic on “Peace and Order: Beyond Crime and Insurgency. In like manner, before the event proper, PNP Officer-In-Charge (OIC) Provincial Director P/SSupt. Narciso Verdadero said that such undertaking is going to pave the way for peace and development, citing the importance of initiating “local talks” for mutual understanding among fellow citizens. TANDAG CITY, Oct. 1 (PIA) – Atty. 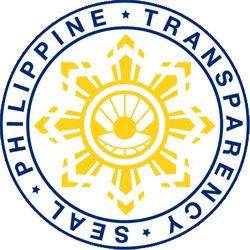 Ernie Palanan, Commission on Elections (COMELEC) provincial election supervisor (PES) in Surigao del Sur, said that, generally, the 10-day Sangguniang Kabataan (SK) registration in the entire province went well. Based on the official “Consolidated Report of SK Registration” that he released, the total number of applicants have been posted at 9,167. Arranged in alphabetical order, the report went as follows: Barobo-970; Bayabas-144; Bislig City-647; Cagwait-352; Cantilan-497; Carmen-166; Carrascal-416; Cortes-379; Hinatuan-689; Lanuza-333; Lianga-509; Lingig-392; Madrid-370; Marihatag-427; San Agustin-394; San Miguel-463; Tagbina-647; Tago-606; and Tandag City-766. Surigao del Sur is comprised of 19 election offices, each located in all its 17 municipalities and two cities. Meanwhile, Palanan claimed that alleged reports of “double registration” have reached his office, explaining that after having been registered in one place, the registrant, still, went to another to be re-registered. However, he said that such registration conducted on September 20-29 will still be subject to “scrutiny” during the Election Registration Board (ERB) meeting on October 20. Tobacco dependence or smoking is classified as a disease by the World Health Organization (WHO). It has been identified as a major preventable cause of human death in the world, the WHO also stated. Knowing that such a deadly disease is preventable gives hope to smokers hooked on the bad habit. Recognizing the alarming diseases associated with smoking and not to mention the increasing number of young people who are starting the habit, efforts are being explored to address this life-threatening problem. Smoking is dangerous to health because it is associated with different kinds of cancer, such as cancer of the mouth, tongue, throat and lungs. It is the major cause of chronic bronchitis, emphysema, ischemic heart disease, hypertension, and other deadly diseases. Even those who do not smoke but are exposed to cigarette smoke can also acquire the diseases associated with it. Moreover, smoking can also cause malnutrition because of decreased appetite, deteriorating health and unhealthy lifestyle. What are the harmful substances found in cigarettes and cigar that cause these diseases? Harmful substances in cigarettes include carbon monoxide which destroys the ability of the blood to supply oxygen to the vital organs of the body. Nicotine causes addiction to cigarettes and raises blood pressure and heart rate. Tar, the brownish viscous substance in cigarette smoke causes lung cancer, emphysema and chronic bronchitis. The prevalence of current smoking has gone down from 31.0 percent in 2008 to 25.4 percent in 2013 according to the Food and Nutrition Research Institute of the Department of Science and Technology’s (FNRI-DOST) 8th National Nutrition Survey (NNS). The latest FNRI survey further revealed that the percentage of those who never smoked increased from 54.3 percent to 59.1 percent, and former smoking from 14.7 percent to 15.4 percent. The peak prevalence among age groups occurs at 40-49 years old. Tobacco dependence is classified as a disease but is preventable. Smoking is indeed a hard habit to break, so the best rule is never to start smoking because giving it up is not easy once a person is already addicted to it. For those who have already formed the habit, decide when to quit and how to do it best are the initial steps. One can win over the habit of smoking by remembering to love oneself by not starting the habit. Thinking of one’s family and getting their support means a lot in winning over this hard habit to break. Lathalain: Pag-eehersisyo, paano ba sisimulan? Sa panahong ito, dumarami ang mga Pinoy na health-conscious. Kahit saang dako ng Pilipinas ay uso ang wellness run, wellness walk, fun run at marami pang iba na may kaugnayan sa healthy lifestyle. Maari kayong sumali sa mga ganitong gawain ngunit ang simpleng pag-eehersisyo ay mas madaling gawin. Paano ba magsisimula sa pag-eehersisyo? Una, kumonsulta sa doktor. Ito ay lalo na kung matagal nang hindi aktibo, maysakit, buntis o may edad na. Ikalawa, simulan sa sampung minutong magagaan na ehersisyo gaya ng brisk walking araw-araw. Ikatlo, dahan-dahang bilisan at habaan ang pag-eehersisyo sa mga susunod na mga araw. Ayon sa 2012 Nutritional Guidelines for Filipinos (NGF), maging physically active, pumili ng masustansyang pagkain, i-manage ang stress, iwasan ang pag-inom ng alak at huwag manigarilyo para maiwasan ang mga lifestyle-related non-communicable diseases. Ang NGF ay binuo ng Technical Working Group (TWG) sa pamumuno ng Food and Nutrition Research Institute ng Department of Science and Technology (FNRI-DOST). Di ba madali lang magsimula sa pag-eehesisyo? Mag-ehersisyo tuwing umaga para lumusog ang katawan at isip.